Get Your Kids BETTER, FASTER and STRONGER with FitHouse! Don’t miss the opportunity to enroll your child in our fun & results-oriented classes designed specifically for them! The LIFT and Sports Conditioning each focus on two different important components of athletics/fitness. We know the impact that fitness can have on a childs mind, body and confidence. 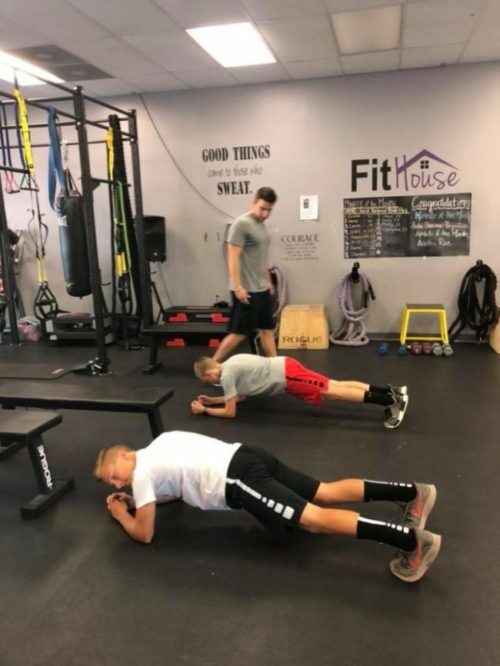 FitHouse Kids focuses on all aspects of fitness and our goal is to provide an environment where kids can be challenged in a fun and positive way. They will use a variety of equipment to increase coordination, quickness, functional movement, balance, and mobility. Many children go into lifting programs without the proper knowledge of technique, the understanding of how to increase mobility and without the proper mechanics. This can lead to imbalances, injuries, and lack of progress down the road. Our mission is to be able to provide the proper foundation for our young athletes to help them thrive and build a solid foundation. FitHouse Teen Lift focuses on the four foundational lifts to develop maximal strength. Students are challenged at their own individual levels with the guidance of the coach. Gary will be leading our Teen Lift! He was born and raised in Pittsburgh, Pennsylvania currently residing in the south hills. I have always had a passion for staying active and living a healthy lifestyle. My personal favorite style of training is by far powerlifting but I also have a background in strength training, individual coaching, and group boot camp training. 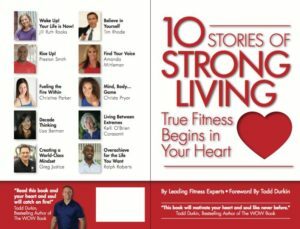 I personally love coaching people to help change their lives and achieve goals in fitness and in life, to become the best and strongest version of themselves. I am Angelina Ross and I am happy to announce that I will be joining the FitHouse Team! I’m a born and raised Jersey Girl. 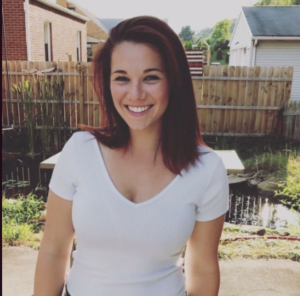 I graduated from Grove City College with a B.S in Exercise Science and am a Certified Strength and Conditioning Specialist through the National Strength and Conditioning Association. After college I got swept away to Pittsburgh by my handsome husband, John. John and I have been married for about two and a half months and already grew the family by adding an energetic Jack Russell puppy, Tyson. I have always enjoyed staying active through being a competitive swimmer, going on ski trips with my family, and playing beach sports along the Jersey Shore in summer time. I love helping individuals reach their fitness goals in order to see them feel accomplished, focused, and strong throughout each day. If I’m not working, you can find me making calls to one of my many family members (I’m the youngest of five siblings and have nine nieces and nephews! ), cooking delicious meals in the kitchen with John, or getting my snuggles and playtime in with Tyson. I traveled to Israel this past summer with my brother and I hope to travel to many more places throughout my life, with Greece, Estonia, and Brazil currently at the top of my bucket list. I am very excited for this new opportunity at FitHouse and I look forward to meeting and getting to know each one of you! We as well are very excited to have Angelina join the FitHouse Team! I already sense that her energy, drive and passion will be a great addition to the FitHouse Family!